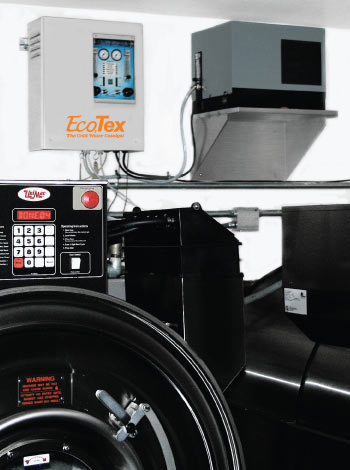 EcoTex Series of disinfection systems provide eco-friendly laundry technology that turns cold water into activated oxygen, nature’s safest, most effective, disinfecting agent reducing energy consumption, water use, cycle times, chemical use, and extends fabric life. -NatureWash: 2 to 25 lbs or 3.5 to 12 kg. -NatureWash-HD: 25 to 50 lbs or 12 to 24 kg. -EcoTex: 50 to 1,000 lbs or 24 to 455 kg.